"A Tickle in the Heart"
20th anniversary screening – and Charlottesville premiere – of award-winning documentary film, A Tickle in the Heart (Germany/Switzerland/USA 1996, Dir. 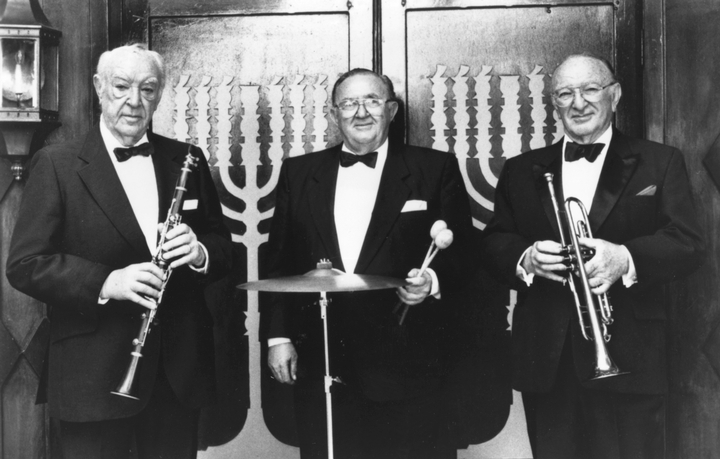 Stefan Schwietert), about klezmer music legends, the Epstein Brothers. Max, Willie, and Julie Epstein are natural performers, whose sense of life, music, and family as they tour through places they love–from Belarus to Brooklyn to Florida–is as life affirming and intoxicating as the joyous music they play. This documentary was the culmination of several years of documenting the group, who received the prestigious National Heritage Fellowship from the National Endowment for the Arts in 1998. Based on the research of UVA Associate Professor Joel Rubin. Discussion with Rubin and musician Peter Sokolow (New York), moderated by Asher Biermann (Professor, Department of Religious Studies). Supported by Congregation Beth Israel, UVA Jewish Studies Program, and the UVA McIntire Department of Music.